Quality accommodation and meals are only part of our appeal. Our facilities are the best on the mountain. Our huge outdoor heated pool and four spas are the centre of attention. The sauna is a great place to relax, our open fires are a highlight after a day on the slopes, and our lounge bar has quality wines and beers at reasonable prices. The tariff includes BREAKFAST, LUNCH and DINNER daily. Our team of chefs, cooks, baker and pastry chef provide three excellent meals daily. From our own bakery, we prepare delicious bread, pastries, cakes and biscuits each day. Tea, coffee and hot chocolate are available at all times. We are able to meet specific dietary needs. Adults appreciate the separate early evening meal times for children. Quality accommodation and outstanding meals are only a part of a holiday at Pretty Valley. Our facilities are the best on the mountain. The huge outdoor heated pool and four spas are the centre of the action. Our sauna will invigorate your tired muscles, and our spacious lounge is a great place to relax after a day on the slopes. Quality wines and beers can be enjoyed at reasonable prices, and the daily Happy Hour is a great place to meet other guests. We have a 22 seat cinema with a range of recently released movies and special television events that are presented. 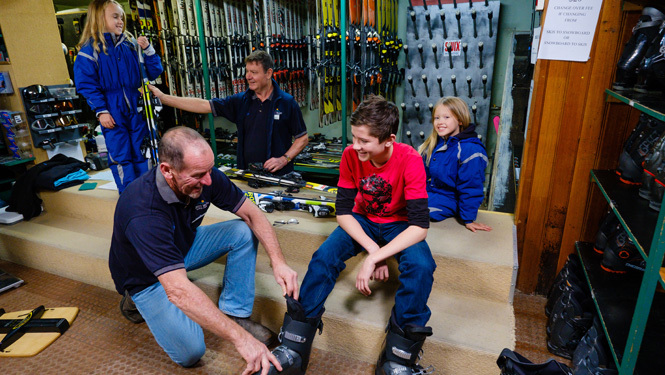 Our ski/snowboard hire shop caters for our guest's needs and is located within the lodge. Our helpful staff will assist you to fit, adjust or exchange equipment at your convenience. All our Ski and Snowboard hire equipment is FREE to our guests for the duration of their stay. Pretty Valley Alpine Lodge is only a short walk from the car park and just metres from the Falls Creek Express Quad Chairlift. From virtually outside our door, this chairlift will rush you to some of the best downhill slopes in Australia. The facts are indisputable; Falls Creek historically has the most consistent snow of all Victorian resorts. In line with world-class resorts, we have extensive snowmaking, and door to door skiing. Our ski in-ski out location is fantastic, offering quick and easy access to the slopes and chairlifts, and making it simple to the lodge for a delicious hot buffet lunch. 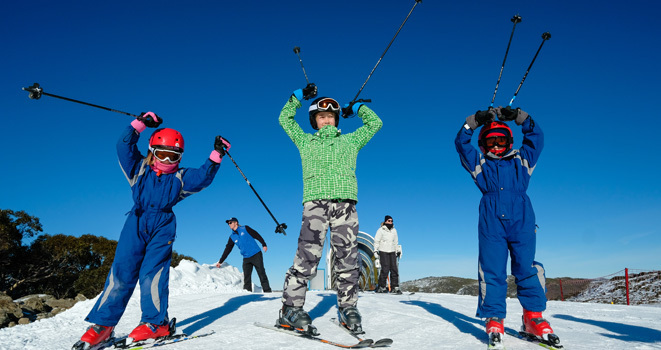 Located at the top of the chairlift is the Snow Sports School, Junior Workshop and Kids Club, with access a breeze for beginners, and easy for you to meet them when their lessons are over. Pretty Valley Alpine Lodge is acclaimed as a friendly and welcoming lodge. We are proud of our premier service, quality facilities and excellent location. We encourage our guests to relax, be themselves, and enjoy their stay with us. Skiers, snowboarders and non-skiers all find that Pretty Valley Alpine Lodge offers what you need in a holiday.